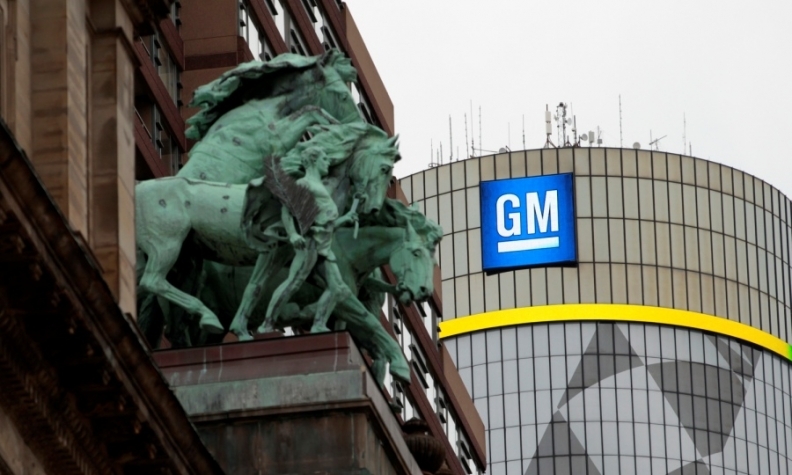 DETROIT -- More than 100 former General Motors executives who sued the automaker for cutting their retirement benefits during the company's 2009 bankruptcy had their appeal rejected today by a federal appeals court, The Detroit News reported. Among the retired executives who sued GM were John Middlebrook, former GM vice president of global sales, service and marketing, Richard C. Nerod, former president of GM Latin America, Africa and Middle East, and Donald Hudler, the one-time chairman and president of Saturn Corp. Under the conditions of the U.S. Treasury’s $49.5 billion bailout of GM in 2009, the automaker reduced executive pensions exceeding $100,000 a year by two-thirds. The former executives claimed that GM misquoted the terms of its executive retirement plan and should not have included a separate retirement program for salaried employees plan when it determined whether pensions should be reduced. The executive retirement plan states that “… for executive retirees who have a combined tax qualified SRP plus non-qualified benefit under this Plan in excess of $100,000 per annum on a life annuity basis, the amount of benefits under this Plan over the combined $100,000 per annum threshold shall be reduced by 2/3rds,” according to the plaintiff’s complaint. A three-judge panel was unanimous in favor of GM, upholding U.S. District Judge George Caram Steeh’s ruling in 2011 that said the plaintiff’s interpretation of the language was “implausible,” the News reported. The appeals court recognized a “slight misquoting” by GM, but said that it was clear the cuts apply to the retirees. GM said the suit did not have merit because the automaker followed terms of the pension cuts laid out by the Obama administration, which oversaw the company’s bankruptcy. Most top executives’ pensions were cut by two-thirds, including former CEO Rick Wagoner, whose pension was reduced from $20 million to about $8.5 million. GM saved $221 million by ending a portion of the supplemental employee retiree plan, and $4.6 billion overall, by cutting pension and retiree health care benefits during its bankruptcy reorganization, the News reported.